Cody Gallery is pleased to present a solo exhibition of work by Hilda Shapiro Thorpe (b. Baltimore, MD 1919; d. Alexandria, VA 2000). Delving deep into the artists prolific career, the exhibition will highlight the artists viscerally affective work that at once reveals itself as dedicated and meaningful in context to its process and practice. Thorpe’s work, often investigating color, scale, physicality and fragility, speaks with great relevance to the contemporary work developed today. Thorpe’s work emerged as Washington Art was transitioning away from Abstraction Expression, toward the earliest establishment of the Washington Color School. As a student of American University, the influences of William Calfee, Robert Gates, and Jack Tworkov left an indelible impression on her work. However, her emergence at the Jefferson Place occurred during a time when fellow gallery artists, Kenneth Noland and Gene Davis, were introducing the gallery to their formal (and now better known) circle and stripe paintings: the beginnings of the Washington Color School. While exposure to these new approaches to painting would certainly inform her work, so too did her explorations in sculpture—with drift wood, balsa, pipe, and off-the-shelf ducts, rolls of aluminum flashing, and painted canvas strips. Over the course of the next 40 years, her exploration between painting and sculpture would attempt to liberate an expressive gesture of color from a rectangular stretcher, and position it as an element in space. Hilda Shapiro Thorpe worked in advertising in Baltimore, prior to moving to Alexandria, VA. The mother of three began attending art classes at American University in 1955. In 1959, she was awarded a capstone exhibition at A.U.’s Watkins Gallery: a two-person exhibition she shared with Alma Thomas. The next academic year she went on to become the gallery’s director, and was encouraged by her professor, Ben Summerford to begin exhibiting at the Jefferson Place Gallery. She would go on to exhibit at The Corcoran Gallery of Art, The Baltimore Museum, The Phillips Collection, and the National Collection of Fine Arts (now the Smithsonian American Art Museum). This exhibition will be the first of the series “Women of Jefferson Place Gallery”. The Jefferson Place Gallery was founded in 1957 by Alice Denney, and five art professors affiliated with American University: William Calfee, Robert Gates, Helene (McKinsey) Herzbrun, Mary Orwen, and Ben Summerford. 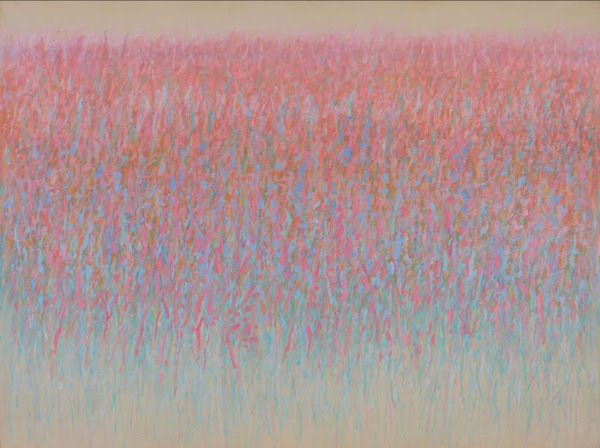 Often credited for being the spark that ignited DC’s contemporary art scene in the 1960s and 70s, among the artists who exhibited at the gallery were Gene Davis, Kenneth Noland, Jacob Kainen, Howard Mehring, Tom Downing, Jennie Lea Knight, Rockne Krebs, Willem de Looper, and Sam Gilliam. “Women of Jefferson Place” has been organized by Meaghan Kent, director of Cody Gallery, and John Anderson. John Anderson is an independent curator and writer. His research into the archives of Alice Denney and Jefferson Place Gallery culminated in the exhibition, “Making a Scene: The Jefferson Place Gallery” at American University Museum in 2017. A catalogue accompanied the exhibition. In addition, he has written several catalogue essays including “Seen and Unseen: Public Artworks by Sam Gilliam and Rockne Krebs,” Washington Studio School, and “Phyllis Plattner,” The American University Museum. Anderson is a contributor to Washington City Paper and re:sculpt. Cody Gallery of Marymount University is located at 1000 North Glebe Road, 2nd Floor. Street parking and Capital Bikeshare are available. The gallery is located near the Metroline Orange: Ballston-MU. Gallery hours: Thursday-Saturday, 12-5pm, and by appointment. Please email [email protected]or phone (703) 908-7782. 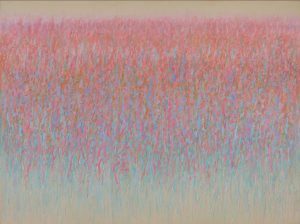 Image: Hilda Shapiro Thorpe, Light Poem, 1986, Acrylic on canvas. Photo: Isaac Wasuck. Copyright and courtesy of the Estate of Hilda Shapiro Thorpe.